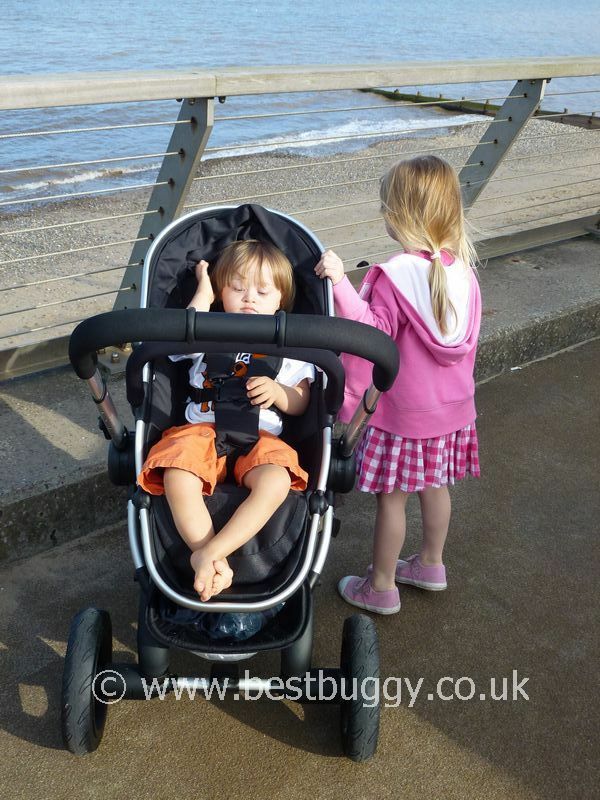 These are just a set of photos of the iCandy Peach Jogger on the beach. This was an interesting outing because the Peach Jogger had to cope with various beach conditions including wet sand, thick dry sand, pebbles and uneven surfaces. There was also a tricky, narrow, cambered ramp to manoeuvre down. 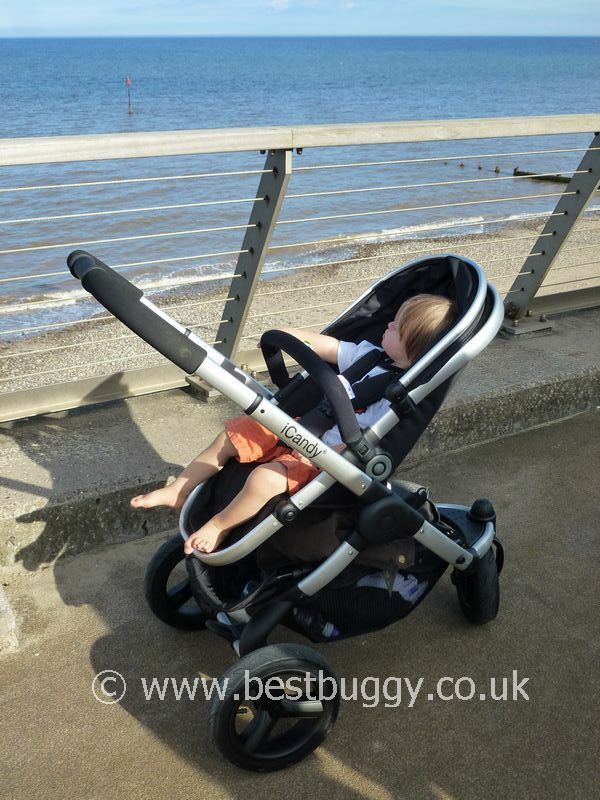 The iCandy Peach Jogger coped with all these conditions very well. There was ample space for our buckets, spades, drinks and coats in the storage basket. Most importantly the iCandy Peach Jogger provided a comfortable vantage point for our 25 month old to sit and watch the world go by. 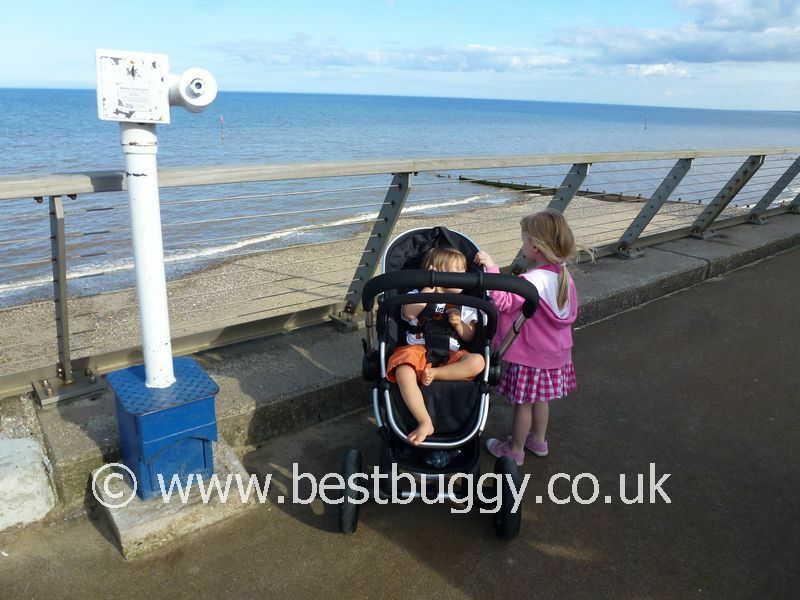 The iCandy Peach Jogger is a stunning pushchair to look at, but is extremely practical and easy to use as well.